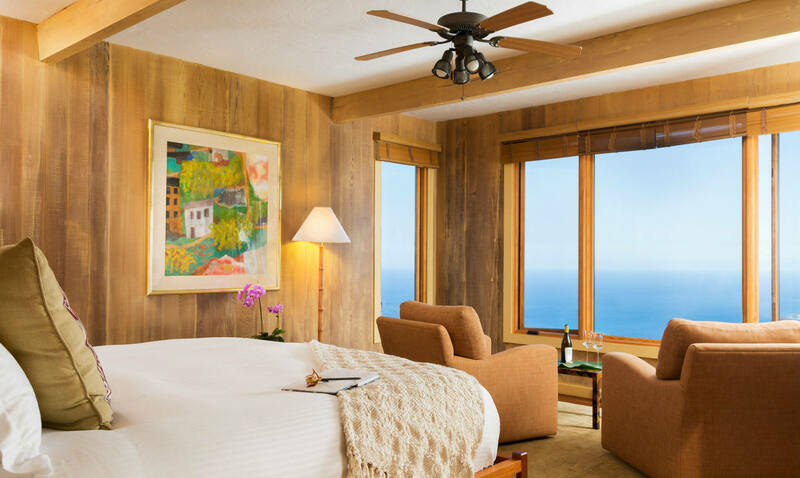 Unveiling stunning blue ocean vistas, this panoramic room offers the perfect lodging for a Hawaiian getaway! 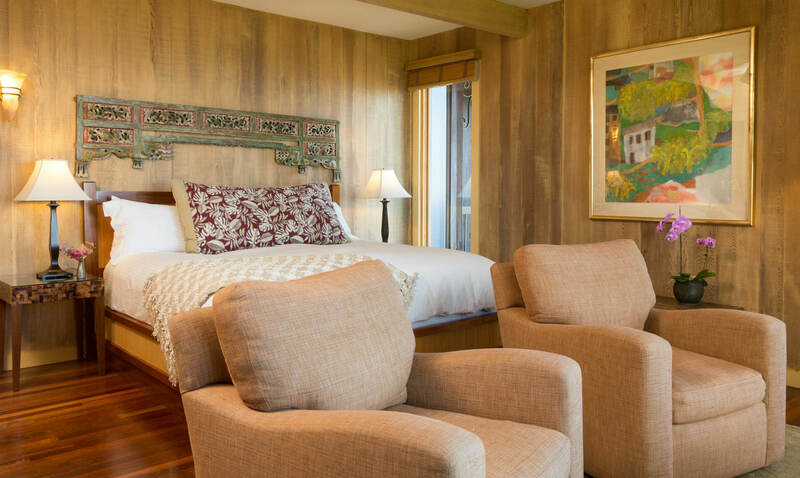 The Hibiscus room showcases elegant Polynesian décor and a quiet sitting area for peaceful reflection. 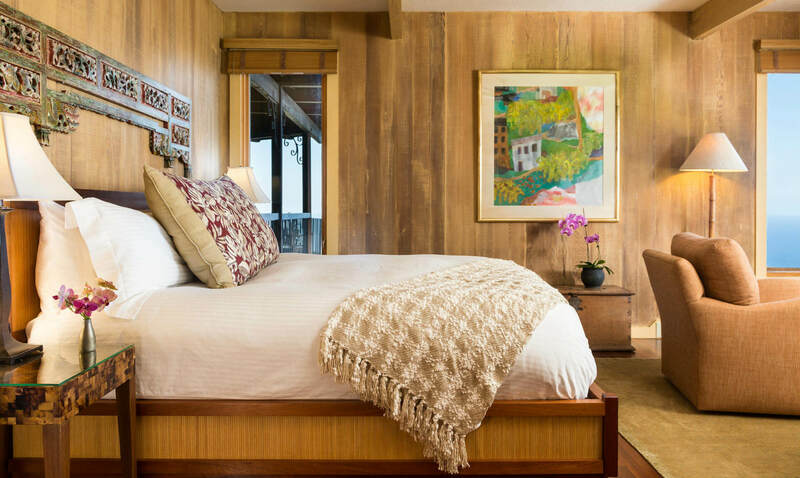 Includes king bed, sitting area, private bath with tub/shower and ocean/garden views. 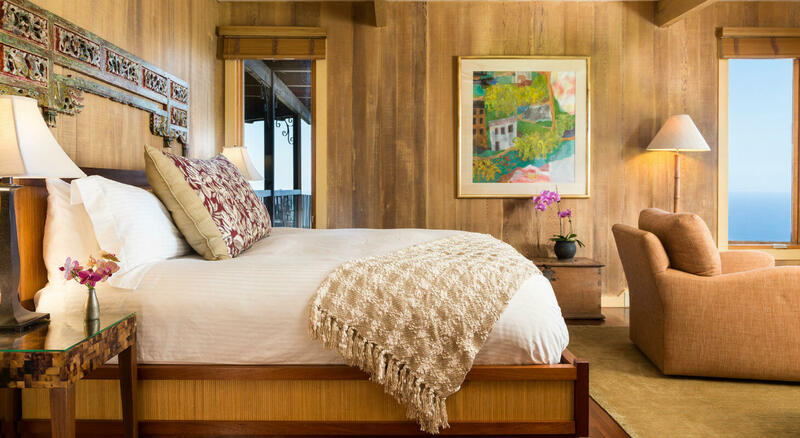 A romantic getaway on the Big Island awaits! 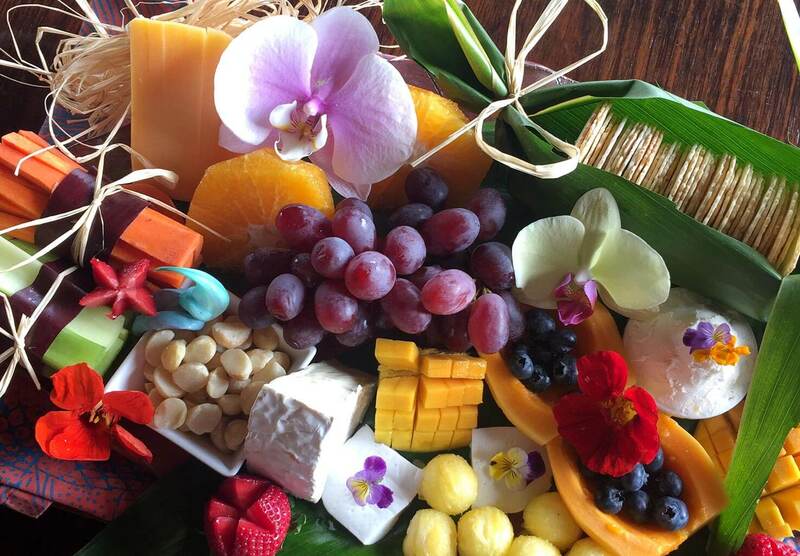 After a long day of flying or a busy day of sightseeing, come home to a refreshing platter of fruit, cheese and crudités along with a complimentary bottle of wine to enjoy while exploring the beautiful grounds of Holualoa.